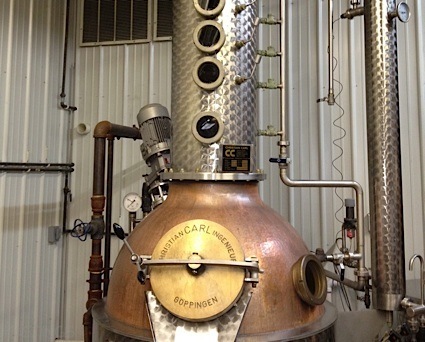 Bottom Line: An outstanding bourbon with guts and grace. 91 • Hillrock Estate Distillery Sauternes-finished Solera Aged Bourbon Whiskey 46.3% (USA) $100.00. 90 • Hillrock Estate Distillery Double Cask Rye Whiskey 45% (USA) $90.00. 93 • Hillrock Estate Distillery Single Malt Whiskey 43% (USA) $100.00. 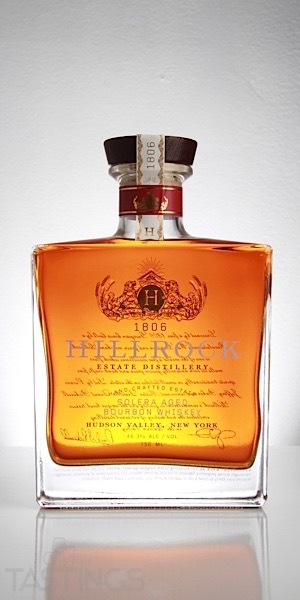 92 • Hillrock Estate Distillery Solera Aged Bourbon Whiskey 46.3% (USA) $80.00. 85 • Hillrock Estate Distillery Double Cask Rye Finished Whiskey 45% (USA) $90.00. 90 • Hillrock Estate Distillery American Single Malt Whiskey 48.2% (USA) $100.00. Hillrock Estate Distillery Solera Aged Bourbon Whiskey rating was calculated by tastings.com to be 92 points out of 100 on 10/22/2018. Please note that MSRP may have changed since the date of our review.